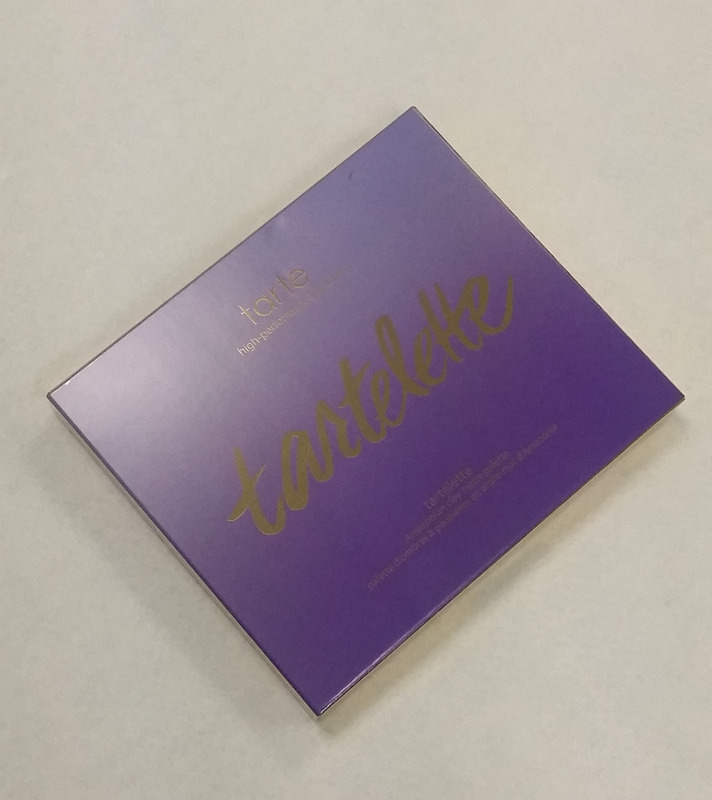 Beauty Addict on a Mission: Spring 2015 Launch: The Tarte Tartelette Palette + A Lovely Discount Code! 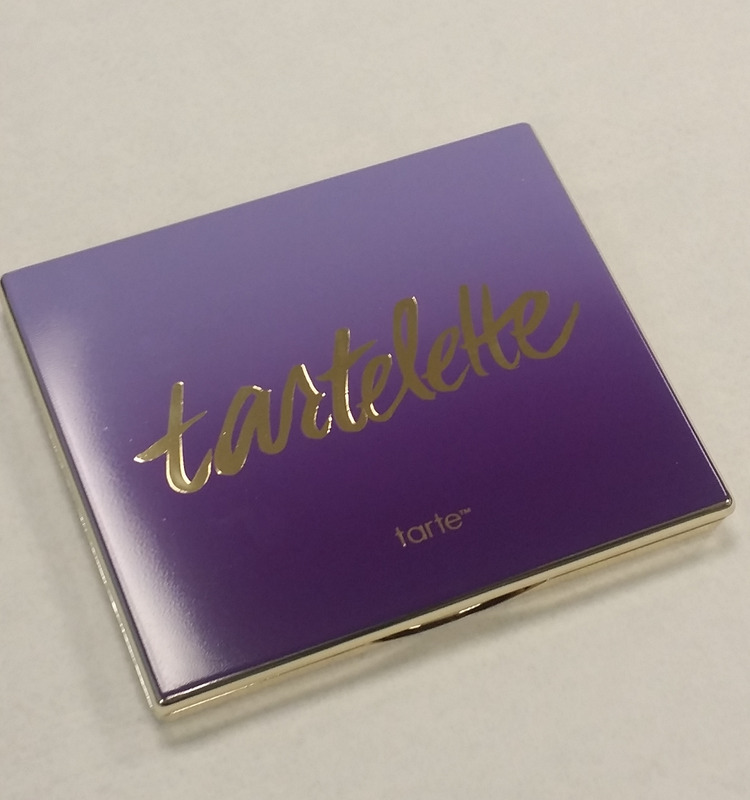 Spring 2015 Launch: The Tarte Tartelette Palette + A Lovely Discount Code! 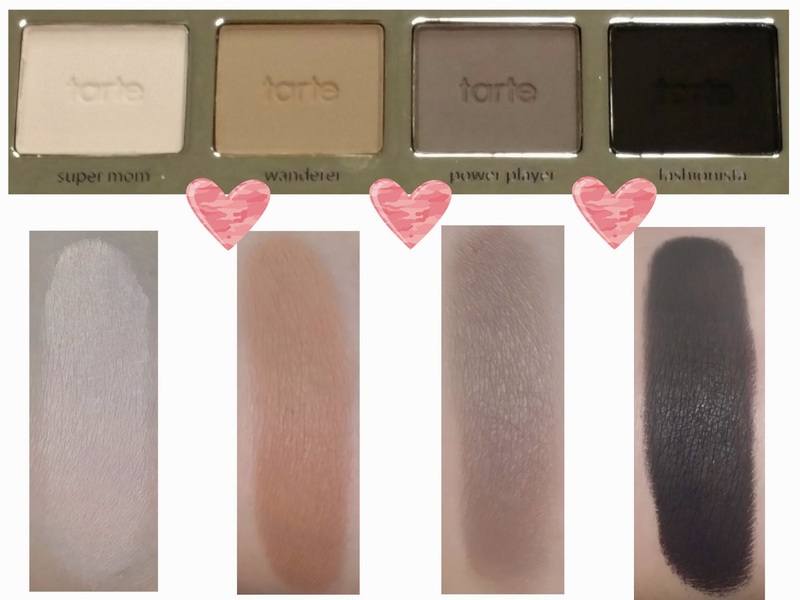 Tarte is one of those higher end brands that's actually friendly to the masses. It's not "stuffy" or unapproachable and somehow relates to all different kinds of women. This fundamental quality about the brand actually seems to be the underlying theme of the Tartelette palette (more on that later though). It will be launching publicly in the Spring of 2015. Let's get into details...The Tartelette palette features twelve matte Amazonian Clay eyeshadows, which are exclusive to this palette. 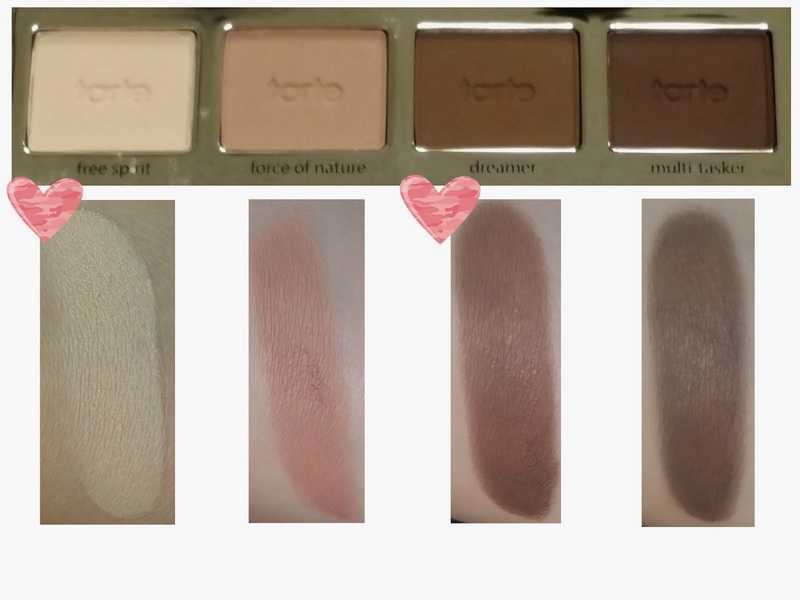 It is an all neutral palette ranging from very light to very dark and what's special about it is that is seems to offer three eyeshadows in each category (three highlight shades, three midtone, three crease/outer v colors, and three defining shades), so there will be something for all skintones. 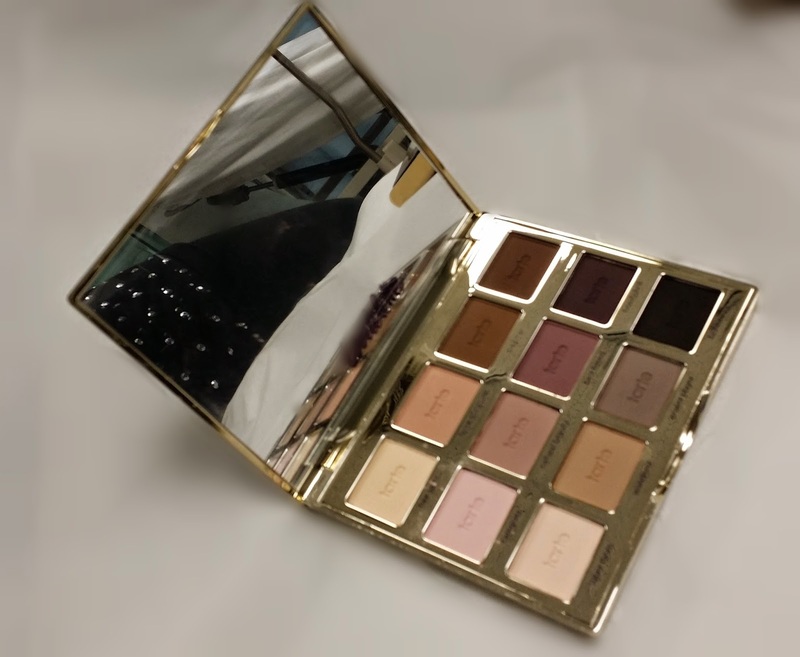 The palette is compact (about the size of my hands, granted I have small hands), has an amazing mirror, and is just overall a great quality, travel-friendly palette. Did I mention the packaging? 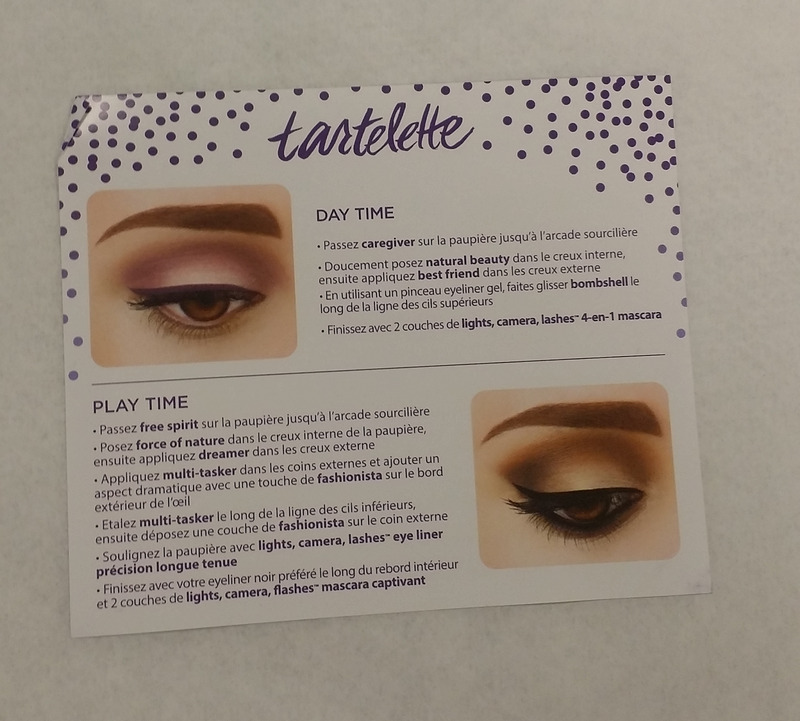 Tarte has officially outdone themselves with this one! 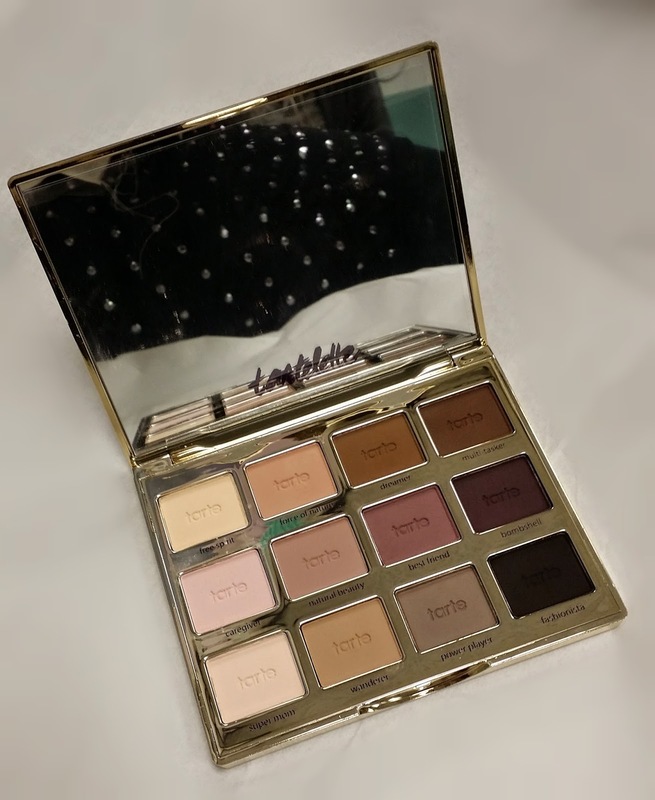 The top portion of the palette is a lilac to purple ombre with shiny gold detailing, and while the packaging is prone to fingerprint smudging, I don't mind wiping it down in the least. The eyeshadows contain 1.5 grams of product, which is the same as a typical Mac eyeshadow. As I was mentioning earlier, the theme of the eyeshadow names in this palette seem to be different kinds of everyday women and is overall targeted towards the empowerment of women. Go Tarte! 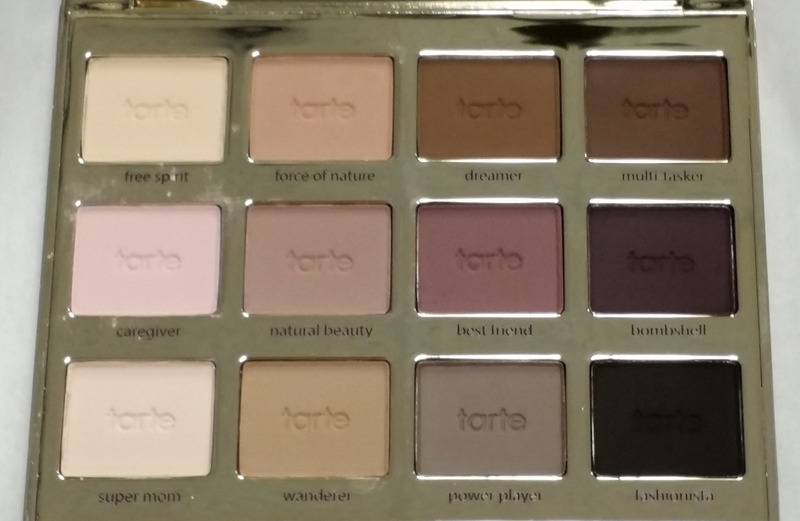 I think it's awesome that every time I reach for this palette, I'll be reminded how unique we each are and that we should support that uniqueness. 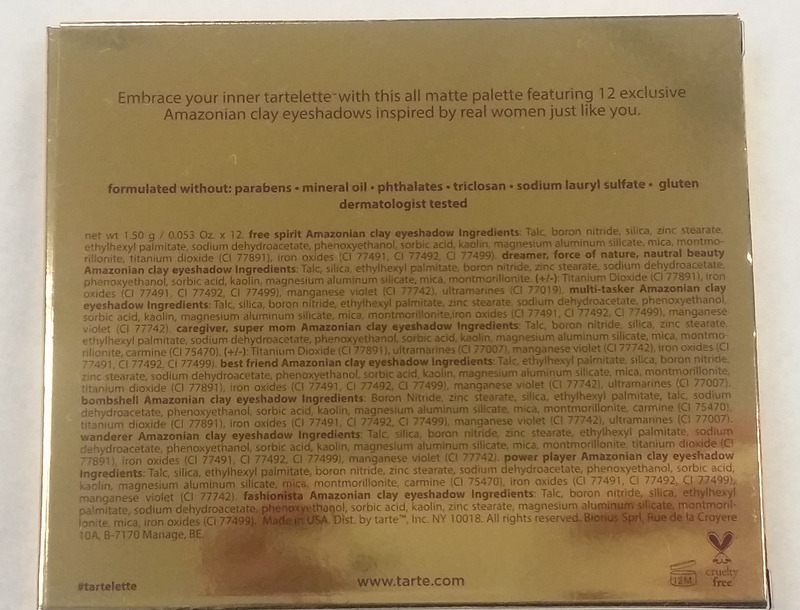 Also, Tarte has finally heard you; the names of the eyeshadows are printed onto the palette. No more plastic sheet! Enough of my blabbering though. I know you just want to see the swatches! ♥ Free Spirit: Yellow based cream eyeshadow. Absolutely going to love this as a brow bone highlight! ♥ Force of Nature: Mid-tone peach. ♥ Dreamer: Medium brown with orange undertones. I noticed that this one didn't feel that smooth as if it was pressed into the pan harder, but it is nicely pigmented. ♥ Multi-Tasker: Dark brown with grey undertones. This one did not feel as smooth either, but built up well and did not go on patchy. ♥ Caregiver: Light bubblegum pink. One of my faves because it's so rare to find a pink eyeshadow that feels as soft and creamy as this one and is this insanely pigmented. ♥ Natural Beauty: Medium pink with mauve undertones. ♥ Best friend: Dusty rose. This shade is going to be perfect in the crease for smokey eyes. ♥ Bombshell: Deep smokey plum. ♥ Super Mom: Off-White with beige undertones. This one was my least favorite out of the whole palette because of it's texture. It went on kind of patchy, though not horribly. ♥ Wanderer: True camel shade. This is the perfect transition shade. ♥ Power Player: Taupe with purple undertones. ♥ Fashionista: Insanely pigmented black. Watch out for this one! I was not expecting this much pigmentation with one swatch. Be sure to tap off your brush or you will get fall out! Overall, I think this is one of the best neutral palettes to be released as of late. 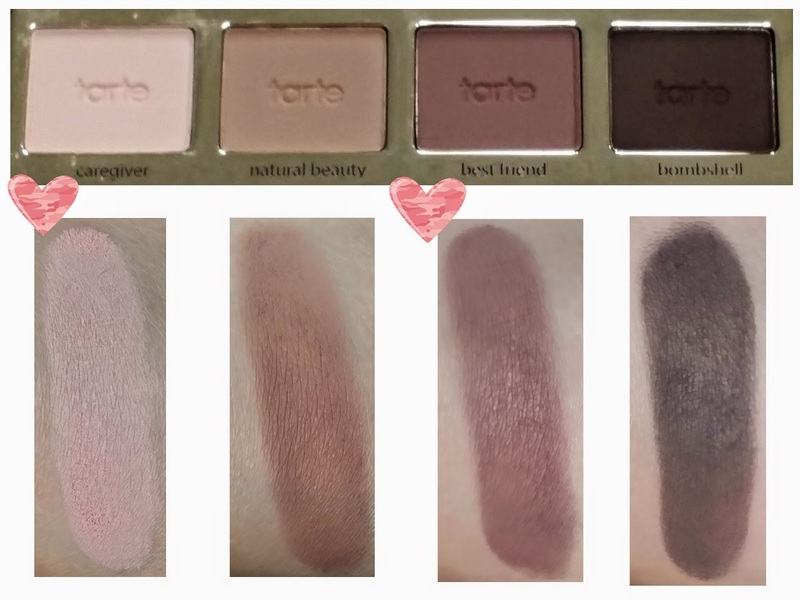 Tarte has really perfected the buttery smooth textures in these Amazonian Clay eyeshadows. I would recommend this palette for anyone that is a fan of all matte eyes or someone that simply needs an accompanying matte palette to their otherwise shimmery collection. The palette does lean on the cooler tone of the spectrum, so the only thing I would say that it's missing is probably one of my all-time favorite sort of shades--a dark reddish brown. Womp, womp! Maybe there will be a warm sequel? Here's to wishful thinking. 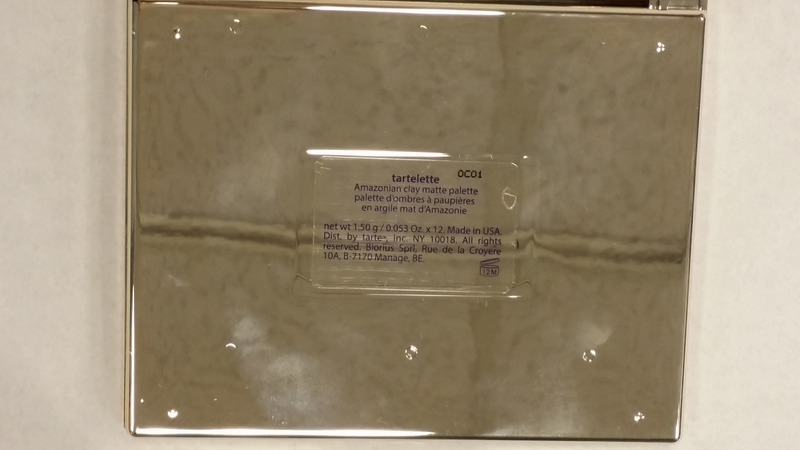 I will be updating you guys as to the palette's official release date in a future blog post. Speaking of future, I have a little treat to share with you guys, but unfortunately it won't be available until New Years Day. Get 15% off of the Tarte website from January 1st all the way to the 16th with "Sweet15".